Oral mucosa - Foreign body in a male F344/N rat from a chronic study. 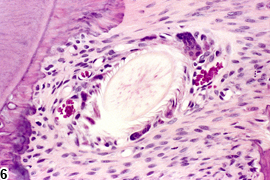 The foreign body (arrow) is surrounded by suppurative inflammation. 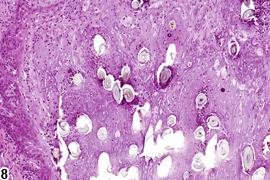 Oral mucosa - Foreign body in a male F344/N rat from a chronic study (higher magnification of Figure 1). 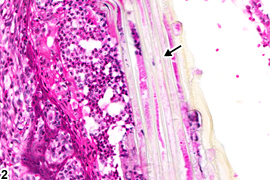 The foreign body (arrow) appears to be plant material. Oral mucosa - Foreign body in a male F344/N rat from a chronic study. 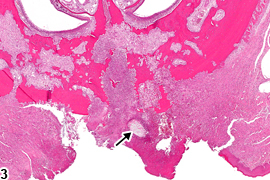 A foreign body (arrow) associated with an ulcer in the hard palate. 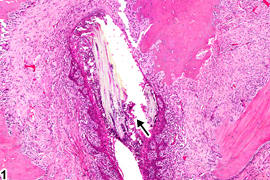 Oral mucosa - Foreign body in a male F344/N rat from a chronic study (higher magnification of Figure 3). 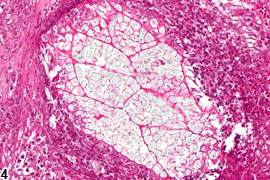 The foreign body is surrounded by suppurative inflammation. 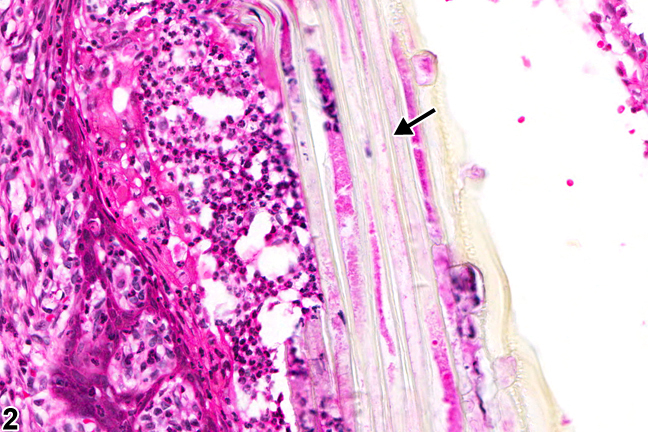 Oral mucosa - Foreign body in a female F344/N rat from a chronic study. 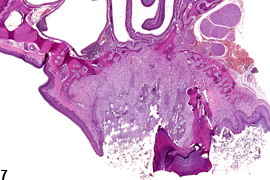 There is a foreign body adjacent to a tooth (asterisk). 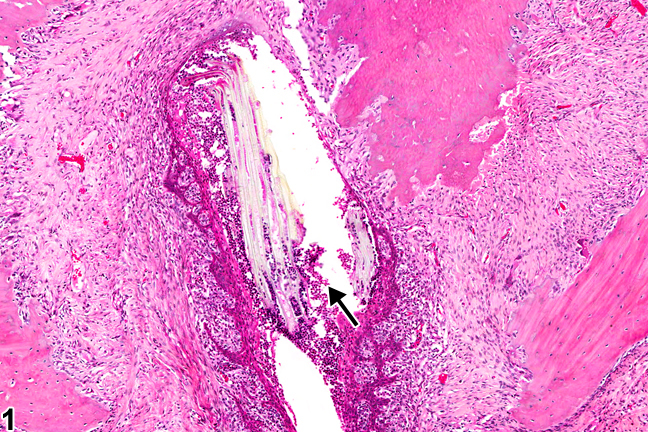 Oral mucosa � Foreign body in a female F344/N rat from a chronic study (higher magnification of Figure 5). 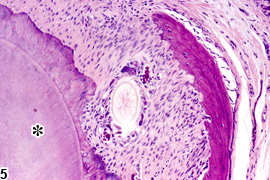 The foreign body appears to be a hair shaft. 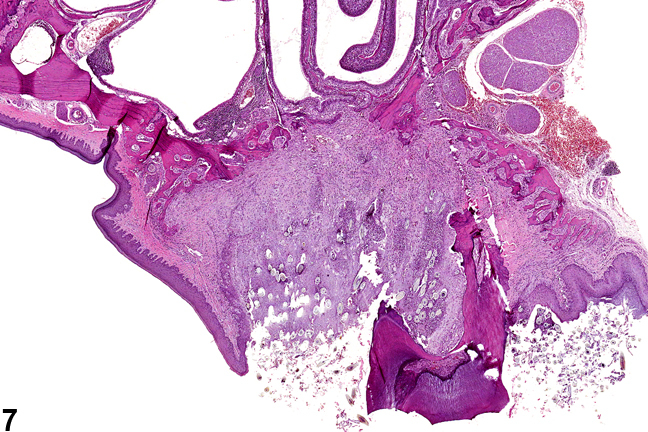 Oral mucosa - Foreign body in a male B6C3F1 mouse from a chronic study. 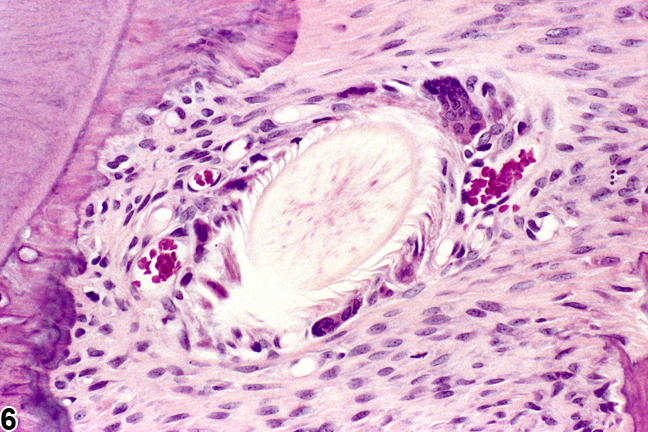 Multiple hair shafts and associated inflammation are present in the periodontal tissue. 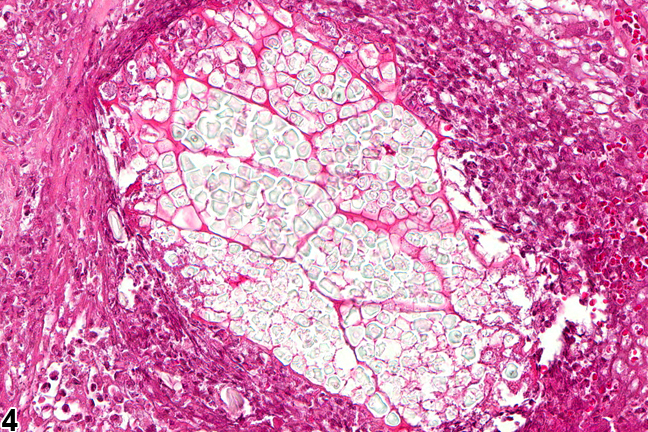 Oral mucosa - Foreign body in a male B6C3F1 mouse from a chronic study (higher magnification of Figure 7). 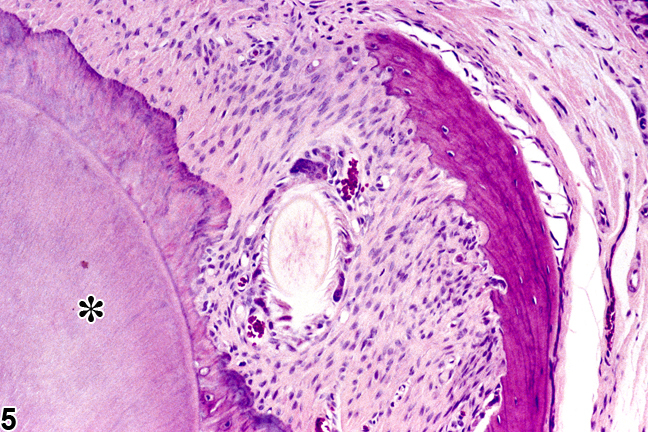 Multiple hair shafts and associated inflammation are present in the periodontal tissue.